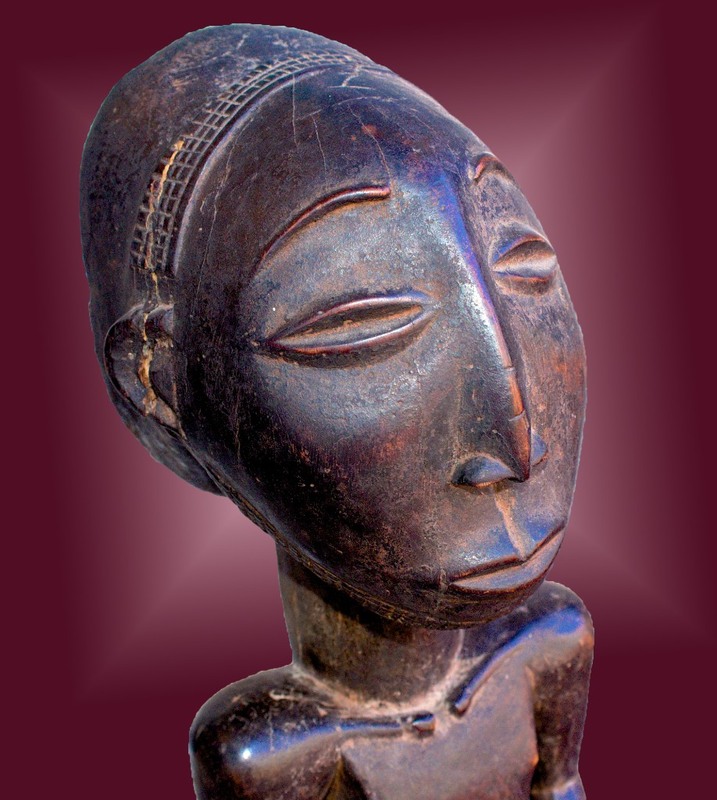 Reflecting the elegant facial serenity of the former Saul Stanoff Hemba masterpiece, this 26 inch Niembo ancestor figure is intact with its feet and circular base, setting it apart from so many other examples eaten away by termites. Deeply burnished and encrusted with ritual anointment, the patina is exceptional. The collar bone rendition is unique to the named ancestor’s physique, a detail indicative of a master sculptor’s hand. The quality of this important work speaks for itself.